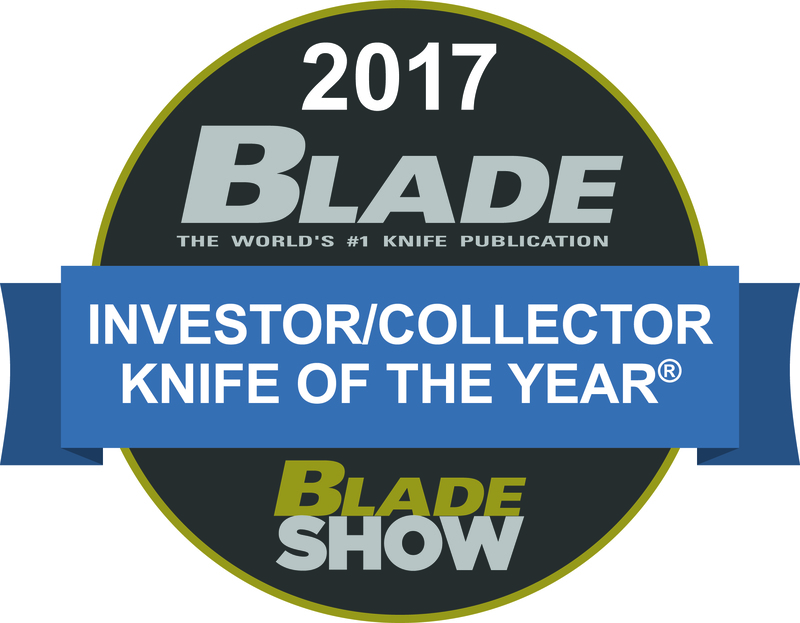 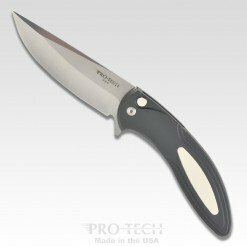 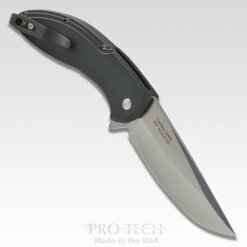 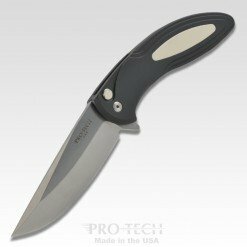 Masterpiece Custom Cambria – winner of the 2017 Blade Magazine Investor/Collector knife of the year! 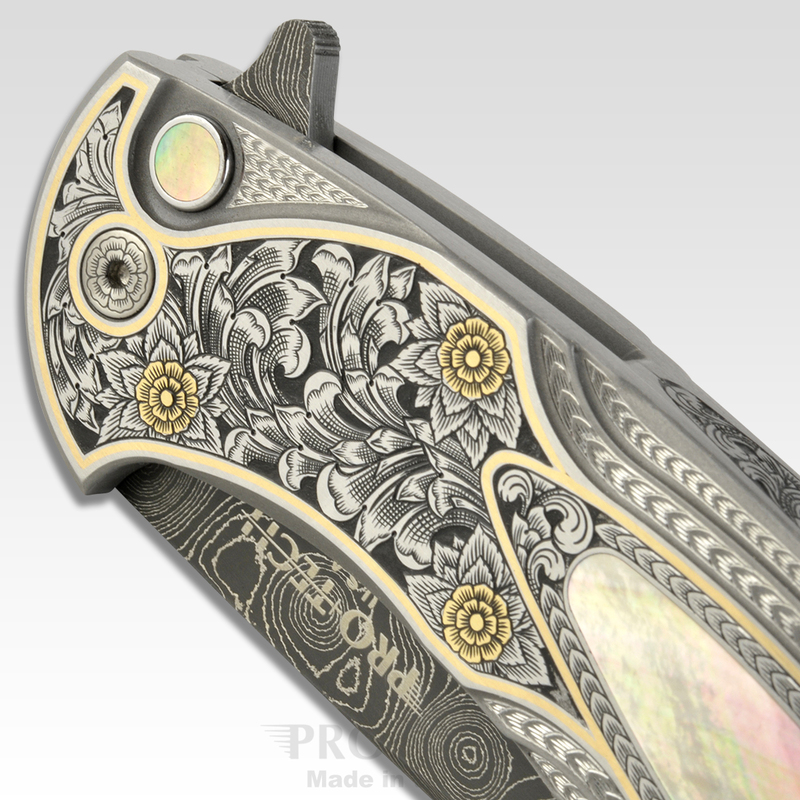 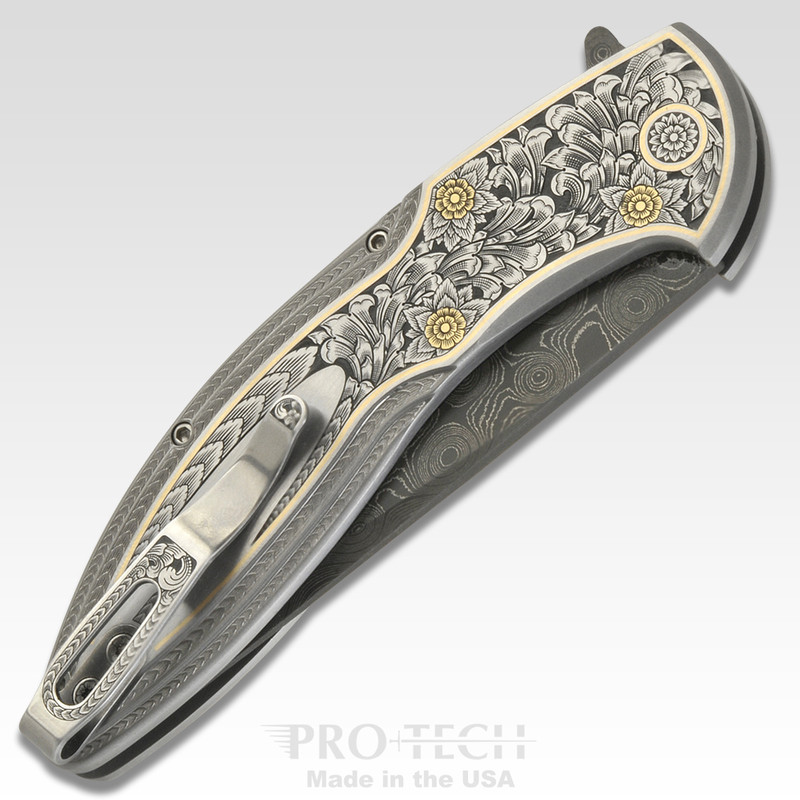 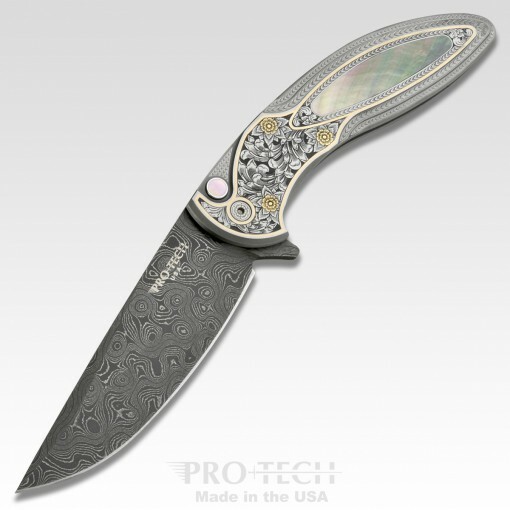 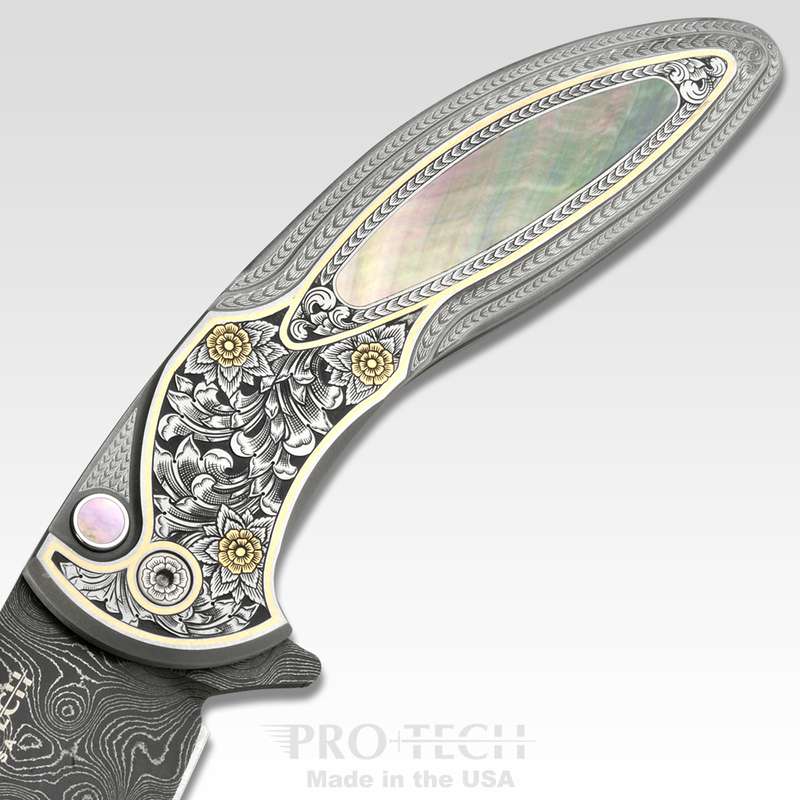 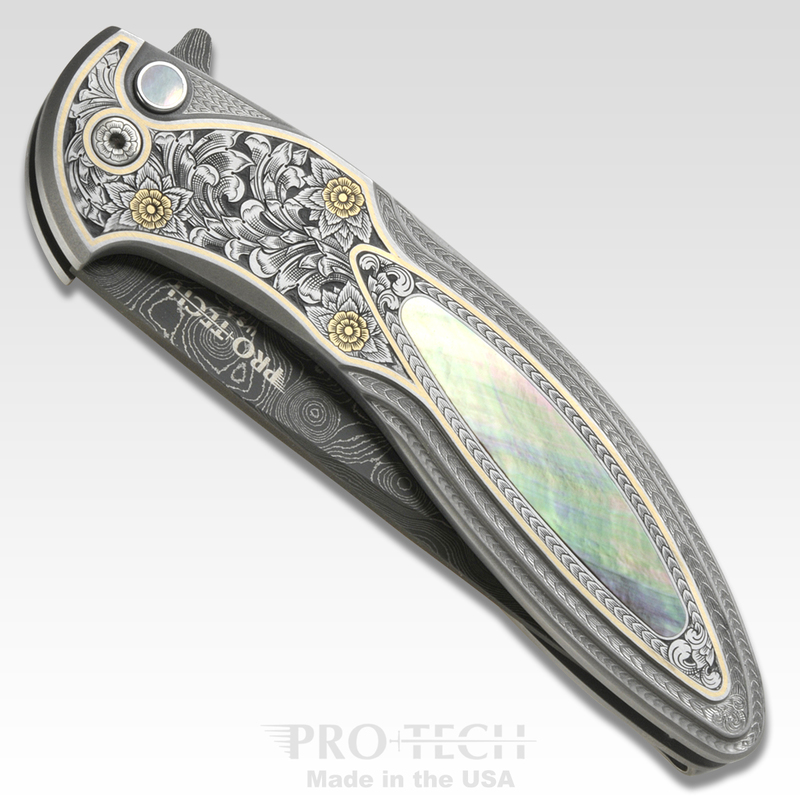 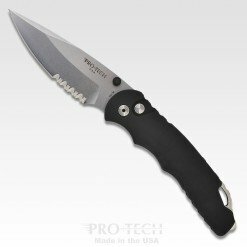 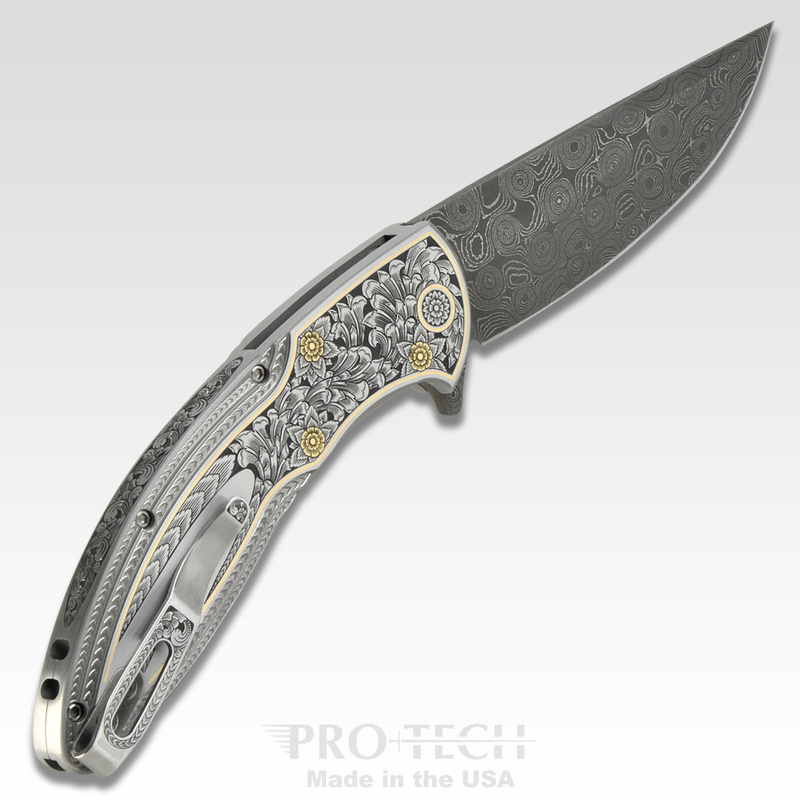 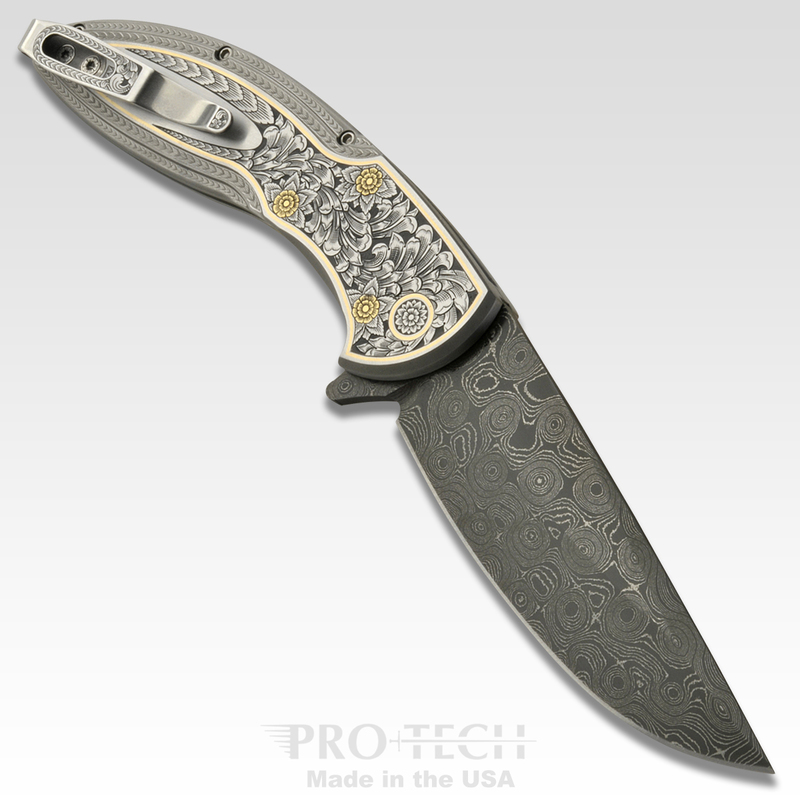 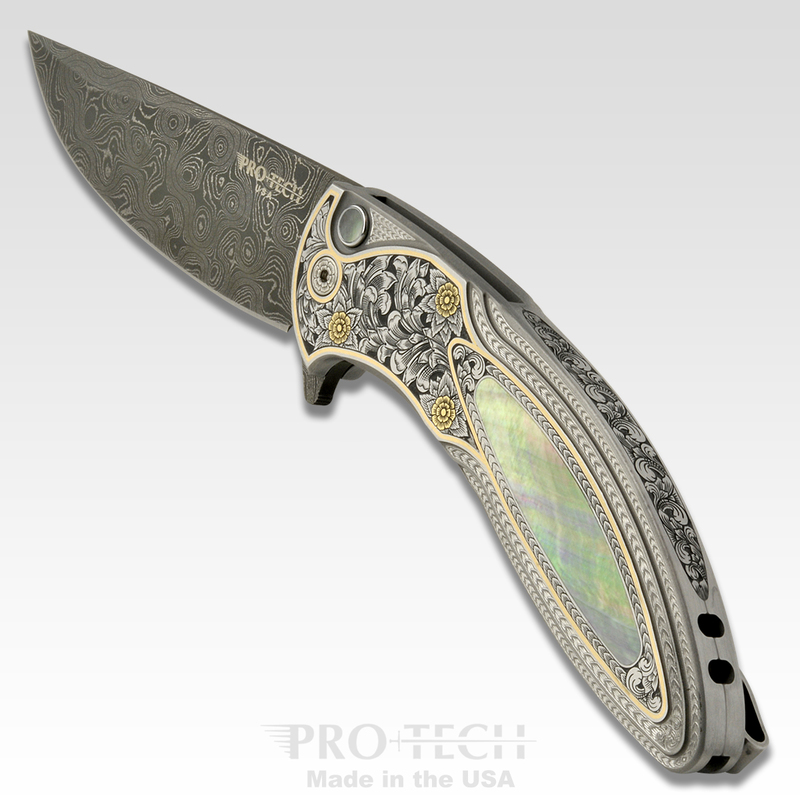 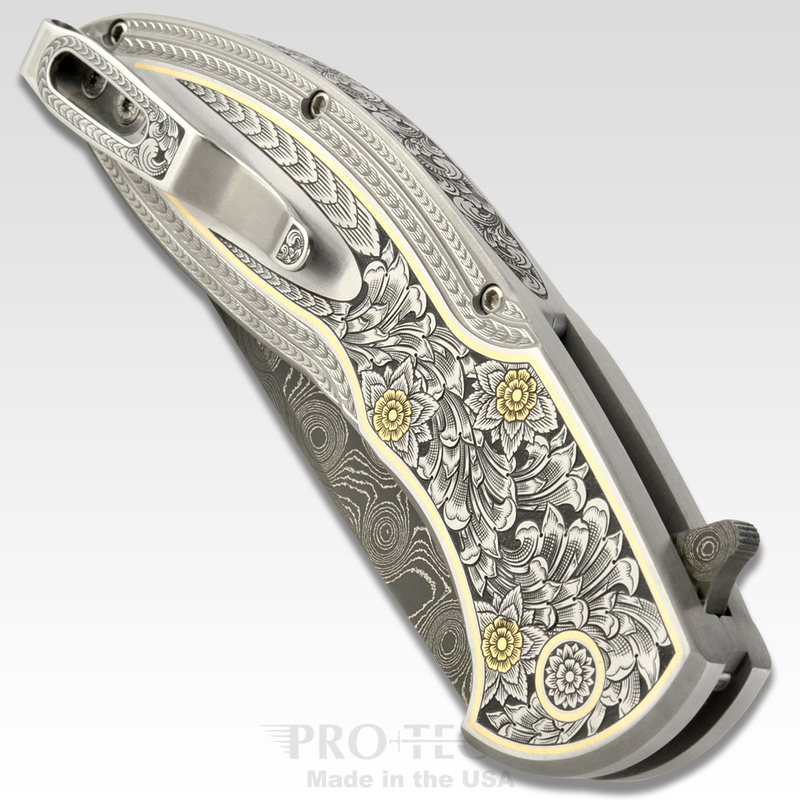 This amazing heirloom quality folder features a solid 416 stainless steel frame with 2-tone matte and satin finish, black lip pearl inlay on front as well as in push button, incredible hand engraving and 18k gold work by Master Engraver Bruce Shaw. 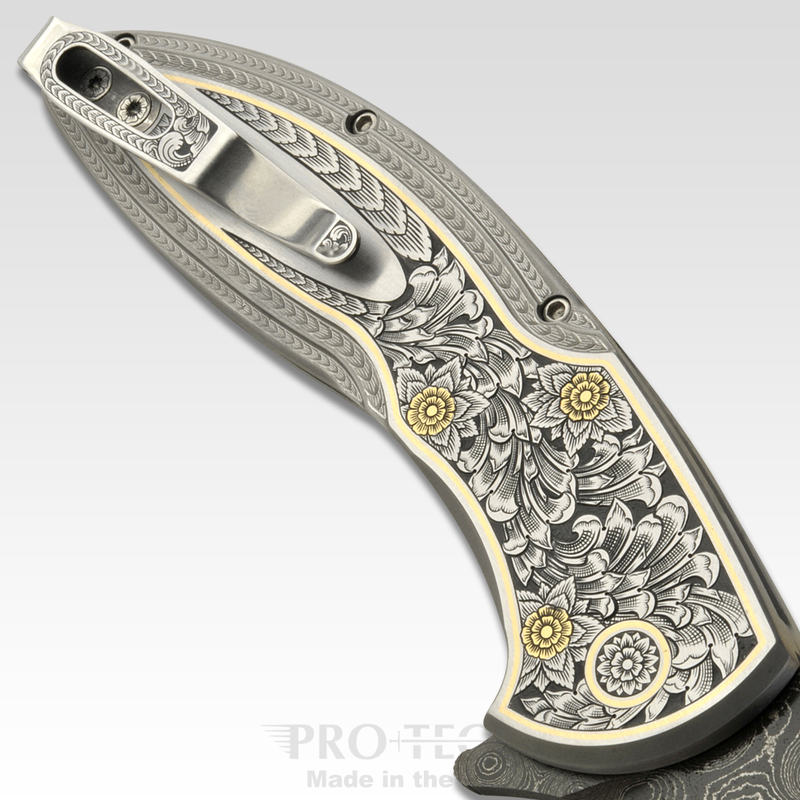 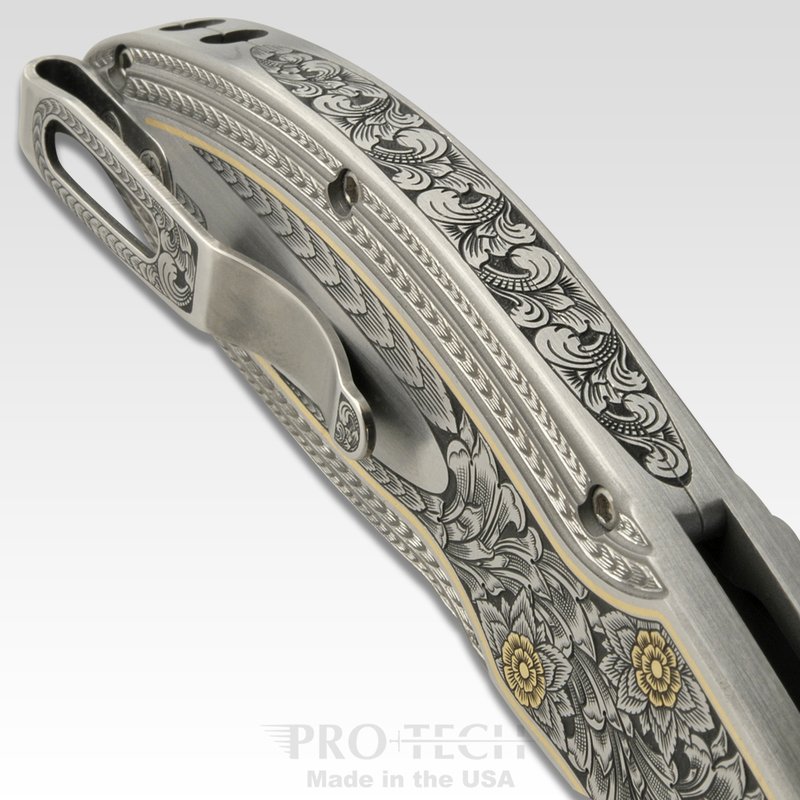 A truly amazing art knife limited to 10 individually serial numbered pieces.